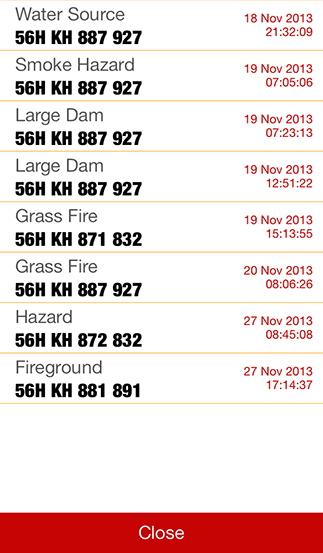 A handy app to assist Australian volunteer Bushfire Fighters from the NSW Rural Fire Service (RFS). 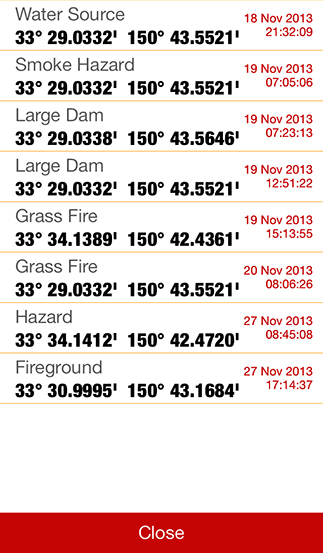 RFS Buddy translates your GPS location into the main RFS MGRS standard, including the LPI Map name and number. 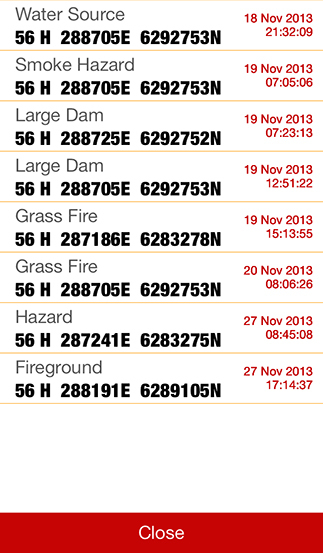 Also includes a number of other formats, and a Fire-ground Field Notes feature to record reference points of interest such as hazards, smoke etc. Field Notes saved to a list that includes all 5 GPS co-ordinates of position recorded. 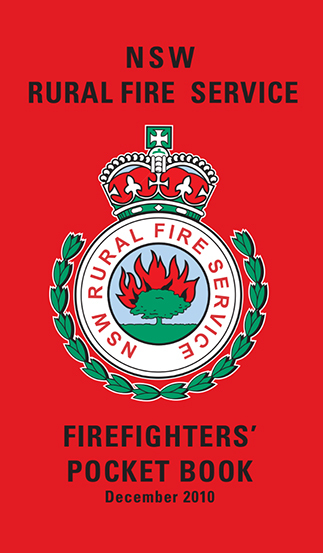 A copy of the latest version of the NSW Rural Fire Service Firefighters Pocket Book. 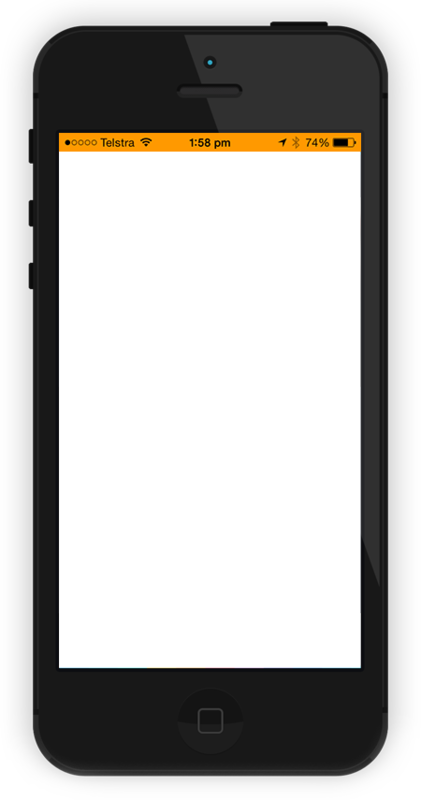 The RFS Buddy app does not need wifi or any phone carrier’s reception to work. RFS Buddy works directly from the iPhone’s internal GPS. RFS Buddy comes with many useful features for use on the fireground. – Full RFS Grid Reference (100m). 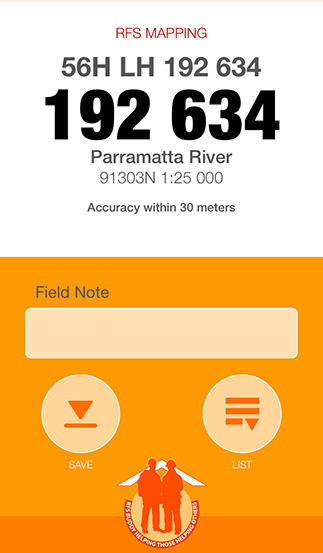 Name and record your current position in a list that (on swipe right) shows all 5 GPS formats. A useful reference tool to always have on hand. This copy has a scrolling menu to easy get to the page you need. Also bookmarks, sharing and printing features included. RFS Buddy comes with a simple and handy Field Notes feature. 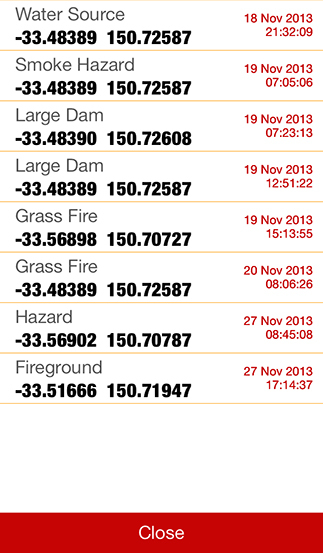 When on the fire ground and you arrive at a point of interest, the Field Notes feature of RFS Buddy allows you to save a name and record your position. The field note will also record the date and time the position was saved. 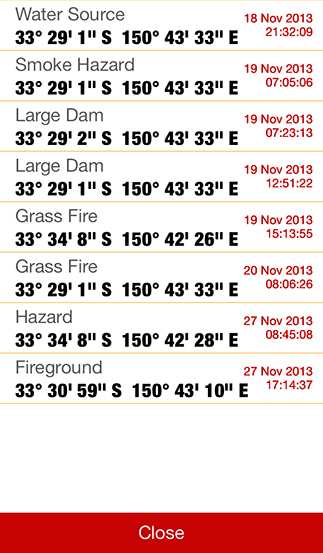 Once again the GPS co-ordinates are save in the same 5 formats as viewed on the main screen. After saving the field note, the list view will pop up and show the new note plus all your previously saved positions. To view the other GPS formats, just swipe this list to the right, and the co-ordinate format will change as you keep swiping. RFS Buddy performs the task of more expensive dedicated GPS units well; and the “swipe” to see your location in UTM or the various Lat/Long formats is excellent. Having the RFS Pocket Book always with you is a bonus. Congratulations on creating a great application that definitely makes the GPS and passing grid references seamless. The addition of the handbook is a fantastic idea as mine is always in the other jacket pocket. The RFS Firefighters Pocket book comes with RFS Buddy. 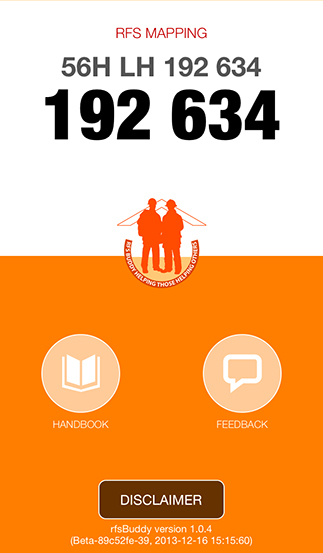 The latest version of the RFS Firefighters Handbook is included in the RFS Buddy app. This current handbook is 186 pages saved in PDF format. – Scrolling menu to easily select the page you are after. Here you will find a planned roadmap for additional features that we are working on adding to the RFS Buddy app. Although, you need to keep in mind that in order to be as useful as it can be, the future development of RFS Buddy will be determined by the actual users informing us of their thoughts on how to constantly make the app even better. 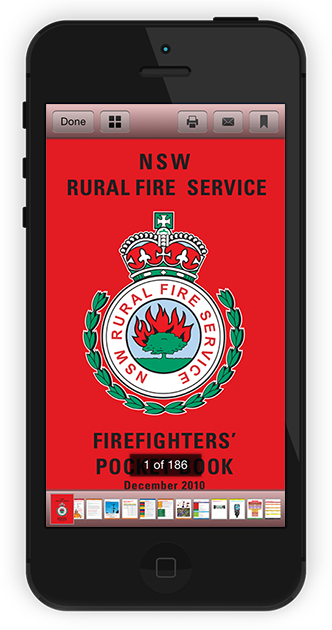 Please use the form below to to get in touch and let us know about your experiences using the RFS Buddy app, and any thoughts you may have on making the app more useful and relevant for RFS members on the fire ground. 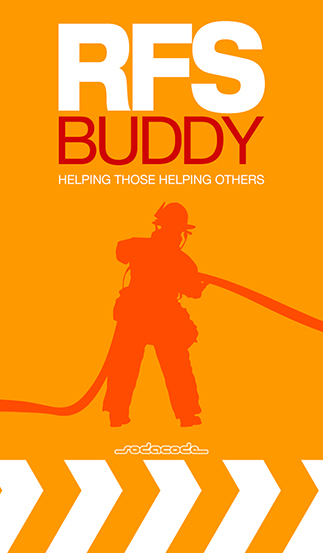 ©2014 RFS Buddy. All Rights Reserved.